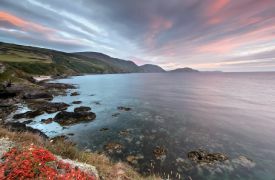 Whatever it is you are looking for from a holiday within the British Isles, the chances are you'll find it here on the Isle of Man. Located right at the heart of the British Isles, 32 miles in length and 14 miles at its widest point, the Isle of Man is an island with and incredible landscape, It is the first entire country to be awarded the UNESCO Biosphere status raising awareness of areas, projects and activities that help to make the Island unique. With its dark skies status this gem of an island is rich with wildlife, flora and fauna, all to be found in spectacular scenery which range from the rugged cliffs of the south to the beautiful northern plains and mountainous uplands. It is a microcosm of all the best of the British Isles has to offer. An outdoor playground, the island boasts a wide range of outdoor activities which include Walking, Mountain Biking, Sea Kayaking, Diving, Coasteering, Angling, Sailing and Paddleboarding. The Isle of Man's 10,000 year history is portrayed throughout the Island in a landscape rich in ancient monuments and in its wealth of historic castles and buildings through the Manx National Heritage sites around the island. Sitting in the gulf stream the waters surrounding the island make it a hotspot for marine wildlife, Basking sharks, Minke whales, dolphins and porpoise are a common sight. There is a large all the year round population of grey seals, especially round the Calf of Man, take a boat trip to get a closer look. A vast number of bird species are also to be seen on the island, too many to name, but includes a wide variety of sea birds and notably a large number of choughs who are a rare sight elsewhere in the British Isles. The Isle of Man also boasts a unique heritage railway network dating back to Victorian times. Journey on the Steam Railway from Douglas to Port Erin, the Manx Electric Railway from Douglas to Ramsey and the Snaefell Mountain Railway which takes you from Laxey to the island's highest point, Snaefell. There are also a number of miniature railways operating around the island. Each June the island comes alive with the roar of motorbikes as the annual Isle of Man TT race takes place. Over 45,000 motorcycle racing enthusiasts from around the world converge on the Isle of Man and line their favourite spots on the Island’s hedgerows to secure the best vantage points to watch history being made before their eyes. This is an island that gives you choice. For anyone who has ever taken a road trip on the Isle of Man, it is not hard to see why popular TV programme Top Gear described it as “a motorist’s Heaven”. But it is not just die hard petrol heads that avail of the joys of motoring on the Island. 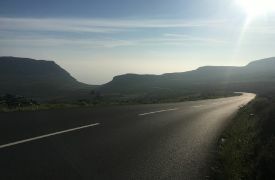 A combination of limited traffic, stunning vistas and the sheer variety in highways available make touring the island a real pleasure for even the most reticent motorist. 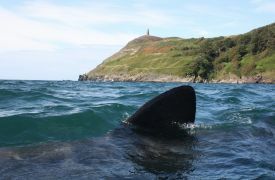 Located in the gulf stream, our rich waters attract a rich variety of marine life, from the hundreds of seals around the Calf of Man, porpoises, whales & dolphins through to our giant summer visitors - the basking shark, when conditions are right you can be in for a real treat. The main island beaches located in our towns and villages are popular with everyone, but as one would expect the island is home to many little known coves, delightful beaches, intriguing rocky outcrops and enchanting caves all lying undiscovered by the majority. Picking the best is difficult but we take a look at some of our favourites. Visitors to the Isle of Man are astonished to discover the wealth of transport heritage contained within its 225 square miles. Lovingly preserved and operating today, the island boasts a variety of vintage railways which operate from Port Erin in the south to Ramsey in the north. Leave the car behind and see the island from a different perspective! This Mother's day why not treat your special mum to a weekend away, whether it is an on island staycation or if you fancy popping over for a few days on the Isle of Man. Either way we have an ideal range of cottages for you to book - all for a special price of £259 per property for 3 nights.